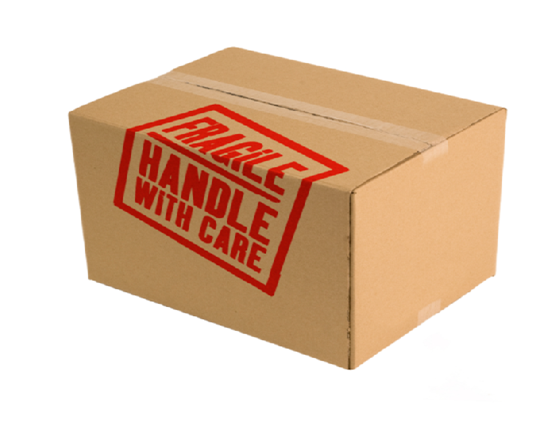 Beware of overloading – this is easily done if your trying to send an item particularly large or heavy. Consider the courier who must handle the package. Most firms have a 30kg maximum weight limit per box to avoid injury. The less the package weighs, the less likely it will be handled strongly or worse, accidentally dropped. 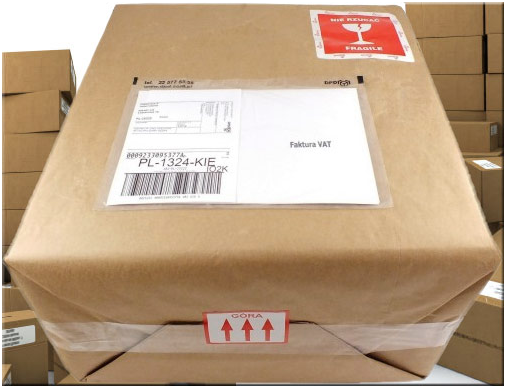 Heavy boxes also benefit from being sealed with fabric tape rather than standard brown tape. Stay Even – try to balance weight evenly inside your box. If the weight is uneven, there is more chance of instability and your box falling over. Allow space – you’ll need to allow two inches of packaging around any items that are breakable or fragile. Newspaper or shredded paper is not always effective, it’s far better to use polystyrene or bubble wrap. Secure – Ideally you want no movement to take place inside the box. This is the biggest reason why goods get damaged in transit so don’t skimp on the internal packaging. Multiple boxes – when you need to send multiple items to the same address, it’s a good idea to spread the load over several packages instead of trying to get them all in one. Careful cutting – another good tip is to place a sheet of cardboard under the seal of each box. This means the contents won’t be under risk of damage if the recipient cuts open the box tape with a knife. Be clear – always write clearly on the box itself, in case the address label comes unstuck and falls off. To protect labels, cover the address with clear tape and don’t forget to add your address in case of return. Be prepared – factor in busy holiday periods when you have parcels to deliver. Get your parcels organised ahead of the rush, particularly at Christmas time to ensure they arrive in good time at their destination. Box clever –while there is no problem with using all boxes, as long as they are structurally sound, make sure all old labels and documentation are removed to avoid any possible confusion for the courier driver.